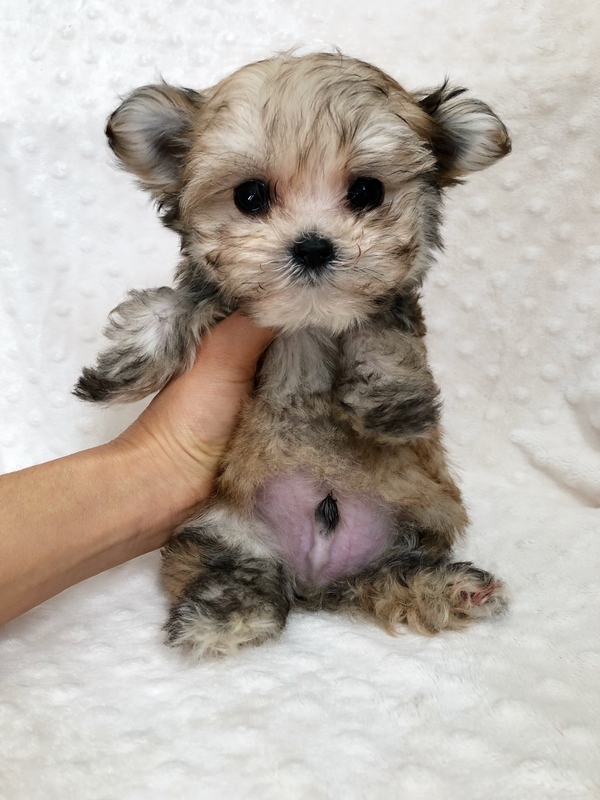 Tiny Teacup Morky Puppy Cobby! 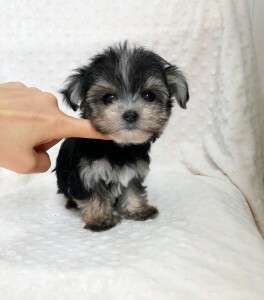 This is MARLO, a perfect little morkie puppy. He is 11 weeks old, and looks like a little wind up toy. He is short and cobby, short nose, perfect face…and is unbelievably cute. Beautiful coloring. He is very sweet, doesn’t bark, and will melt your heart. He has started potty training. She comes with a one year health guarantee. He is up to date with his shots and ready for his new home. If you’re interested, you can email us at iheartteacups@gmail.com or call (805) 613-7868 SERIOUS INQUIRIES ONLY. Thank You!! CLICK HERE FOR MORE PICS OF MARLO!!! 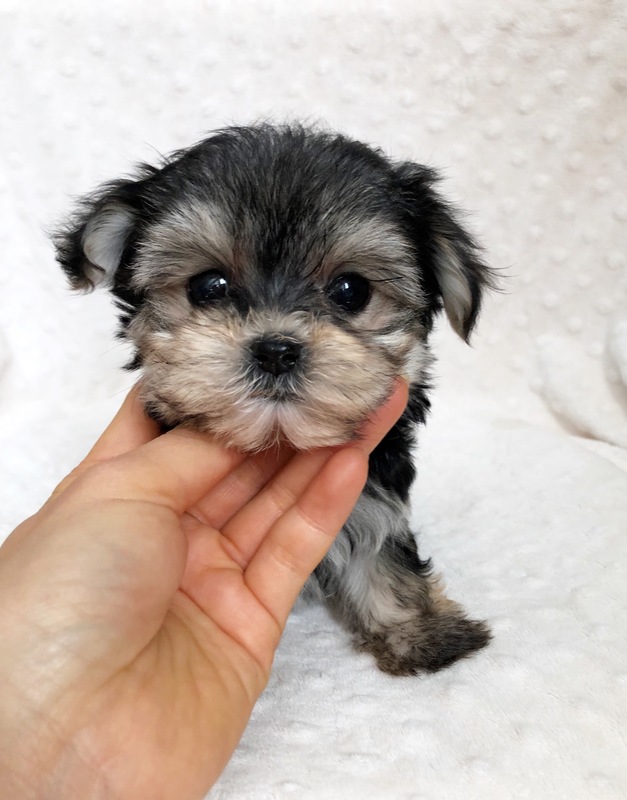 This is Pippa, an adorable morkie puppy. She is 11 weeks old, black and tan and looks like a little princess. She is sooo adorable, short and chunky, big eyes, short nose, perfect face…and has a great disposition. She is very sweet, doesn’t bark, and will melt your heart. She has started potty training. She comes with a one year health guarantee. She is up to date with his shots and ready for her new home. She is $4,950. If you’re interested, you can email us at iheartteacups@gmail.com or call (805) 613-7868 SERIOUS INQUIRIES ONLY. Thank You!! CLICK HERE FOR MORE PICS OF PIPPA!!! This is Princessa, an adorable morkie puppy. She is 11 weeks old, black and tan and looks like a little princess. She is sooo adorable, short and chunky, big eyes, short nose, perfect face…and has a great disposition. She is very sweet, doesn’t bark, and will melt your heart. She has started potty training. She comes with a one year health guarantee. She is up to date with his shots and ready for her new home. She is $3,950. If you’re interested, you can email us at iheartteacups@gmail.com or call (805) 613-7868 SERIOUS INQUIRIES ONLY. Thank You!! CLICK HERE FOR MORE PICS OF PRINCESSA!!! This is Lil LEA! A teacup Maltipoo puppy. She is 14 weeks old, and looks like a little baby doll! She is estimated to be around 5 lbs full grown and a relaxed personality. She is so adorable with a sweet face. 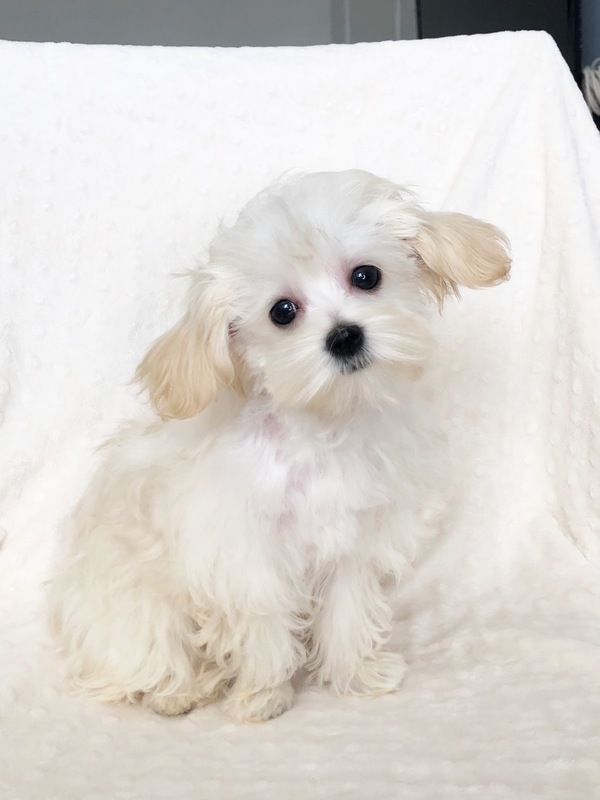 She is a light cream with cream ears and a super soft coat, like a maltese! She is very sweet, doesnt bark, and will melt your heart. She has started potty training. She comes with a one year health guarantee. She is up to date with his shots and ready for her new home. If you’re interested, you can email us at iheartteacups@gmail.com or call (805) 613-7868 SERIOUS INQUIRIES ONLY. Thank You!! CLICK HERE FOR MORE PICS OF LEA! This is Lil Candy! 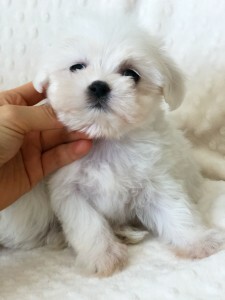 A teacup Maltese puppy. She is 10 weeks old, and looks like a little baby doll! She is estimated to be around 4 lbs full grown, shes got the cutest everything and THE sweetest personality. She IS so adorable, tiny lil nose, perfect face. She will be perfect to take everywhere with! She is very sweet, doesnt bark, and will melt your heart. She has started potty training. She comes with a one year health guarantee. She is up to date with his shots and ready for her new home. If you’re interested, you can email us at iheartteacups@gmail.com or call (805) 613-7868 SERIOUS INQUIRIES ONLY. Thank You!! CLICK HERE FOR MORE PICS OF SOPHIE! This is Lil Cotton, a teacup maltipoo puppy! He is 10 weeks old. He is tiny tiny and beyond adorable!! He has a perfect face, short little legs, he is tiny and like a cotton ball! 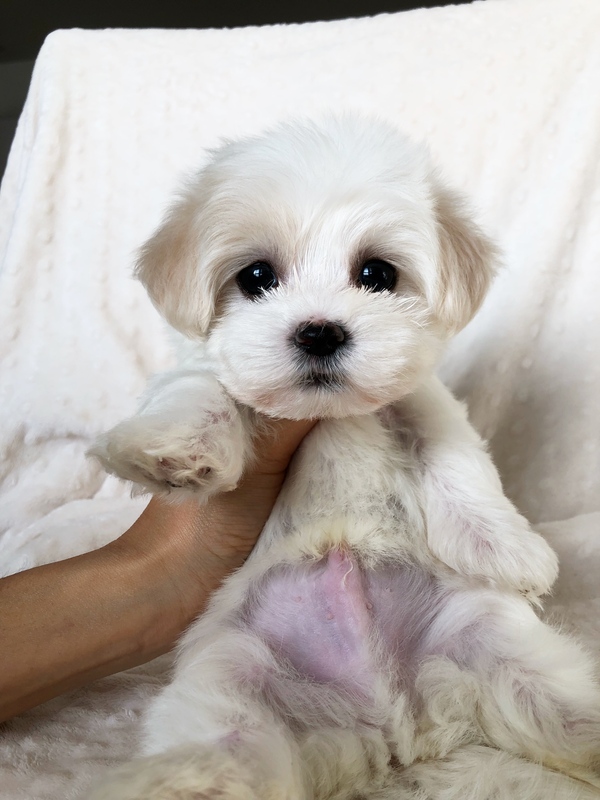 He is a white colored baby boy that looks like a maltese. His coat is very soft and fluffy, she will make a perfect addition to a loving home. He is very sweet, and will melt your heart. He has started potty training. He comes with a one year health guarantee. He is up to date with his shots and ready for his new home. If you’re interested, you can email us at iheartteacups@gmail.com or call (805) 613-7868 or (424) 645-7877 SERIOUS INQUIRIES ONLY. Thank You!! CLICK HERE FOR MORE PICS!!!! 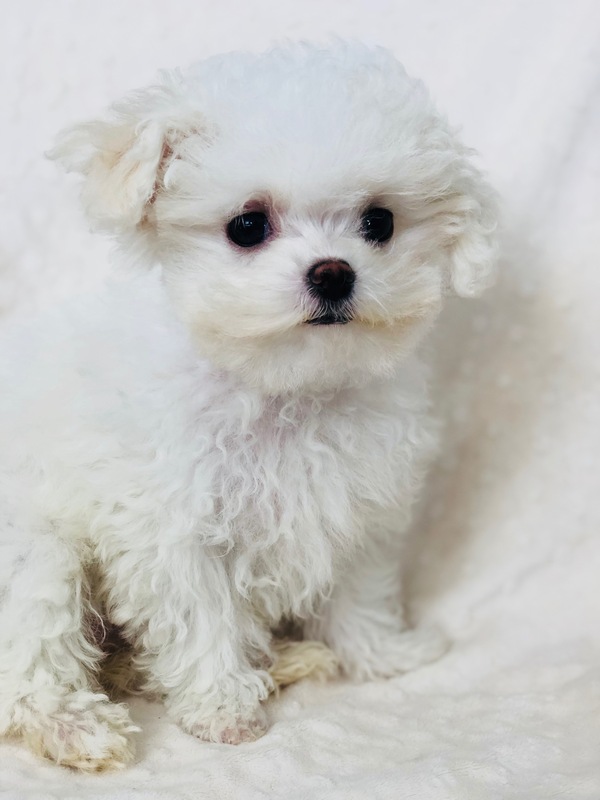 Tiny Teacup Apricot maltipoo puppy! 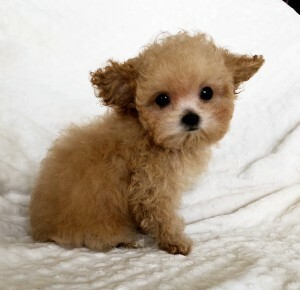 This is Lil Cash, a teacup maltipoo puppy! He is 13 weeks old. He is tiny tiny and beyond adorable!! He has a perfect face, short little legs, he is tiiiiny! He is a cream/caramel colored baby boy. His coat is very soft and fluffy, she will make a perfect addition to a loving home. He is very sweet, and will melt your heart. He has started potty training. He comes with a one year health guarantee. He is up to date with his shots and ready for his new home. If you’re interested, you can email us at iheartteacups@gmail.com or call (805) 613-7868 or (424) 645-7877 SERIOUS INQUIRIES ONLY. Thank You!! CLICK HERE FOR MORE PICS!!!! Teacup Female Maltipoo Puppy baby doll! This is Lil Cardi… O KURRRRRR! 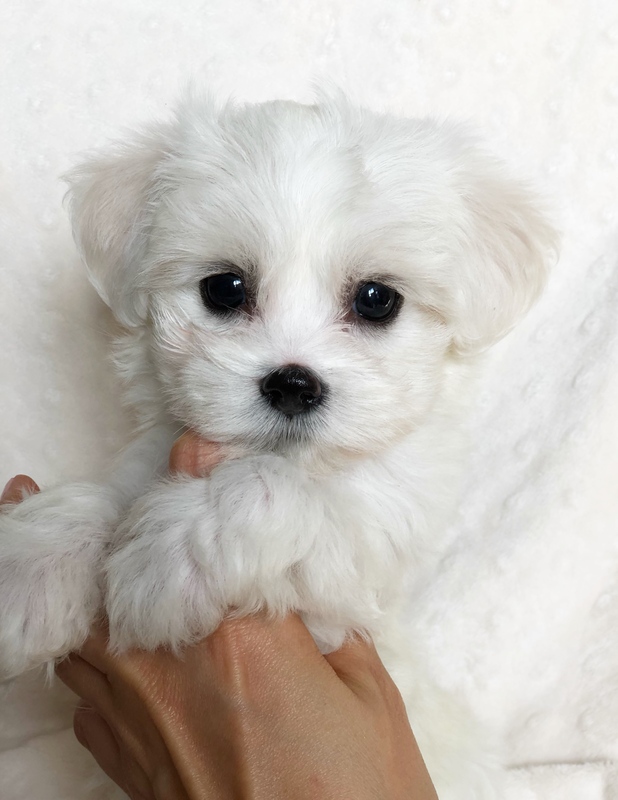 A teacup Maltipoo puppy. She is 4 months old, and looks like a little baby doll! She is estimated to be around 4 lbs full grown, shes got the cutest short legs and a relaxed personality. She has so adorable, tiny lil nose, perfect face. She will be perfect to take everywhere with! She is very sweet, doesnt bark, and will melt your heart. She has started potty training. She comes with a one year health guarantee. She is up to date with his shots and ready for her new home. If you’re interested, you can email us at iheartteacups@gmail.com or call (805) 613-7868 SERIOUS INQUIRIES ONLY. Thank You!! CLICK HERE FOR MORE PICS OF Cardi B! Teacup Maltese Puppy Teddy face! This is Lil Sunny, a teacup maltee puppy! He is 9 weeks old. He is tiny and beyond adorable!! He has a perfect face, short little legs, he is white like a cotton ball with cream ears! His coat is very soft and fluffy, she will make a perfect addition to a loving home. He is very sweet, and will melt your heart. He has started potty training. He comes with a one year health guarantee. He is up to date with his shots and ready for his new home. If you’re interested, you can email us at iheartteacups@gmail.com or call (805) 613-7868 or (424) 645-7877 SERIOUS INQUIRIES ONLY. Thank You!! CLICK HERE FOR MORE PICS!!!! This is Lil Lilly! 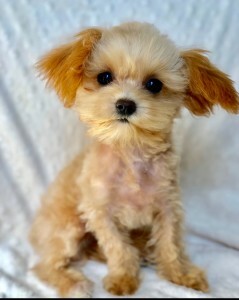 A teacup Maltipoo puppy. She is 12 weeks old, and looks like a little baby doll! She is estimated to be around 4-5 lbs full grown, shes got the cutest short legs and a playful personality. She is very sweet, doesnt bark, and will melt your heart. She has started potty training. She comes with a one year health guarantee. She is up to date with his shots and ready for her new home. If you’re interested, you can email us at iheartteacups@gmail.com or call (805) 613-7868 SERIOUS INQUIRIES ONLY. Thank You!! CLICK HERE FOR MORE PICS OF Lil LILLY!